Presented as part of the Citizens Women season, Stef Smith’s updating of Ibsen’s play uses a structurally impressive motif to tell the story of stifled, blackmailed wife Nora. In Smith’s version, Nora becomes three women separated by time, but living at very important points in the struggle for equality. Molly Vevers plays the Nora of 1918, living after the armistice of the First World War, who has just voted for the first time; Maryam Hamidi is the Nora of 1968, the era of the pill and emerging gay rights; and Anna Russell-Martin is Nora in 2018, the time of #MeToo, payday loans and financial precariousness. The structure of the play could be seen as a gimmick, but Smith and director Elizabeth Freestone weave these three stories into one with such seamless grace and attention to detail that they become hypnotic in their coordination. 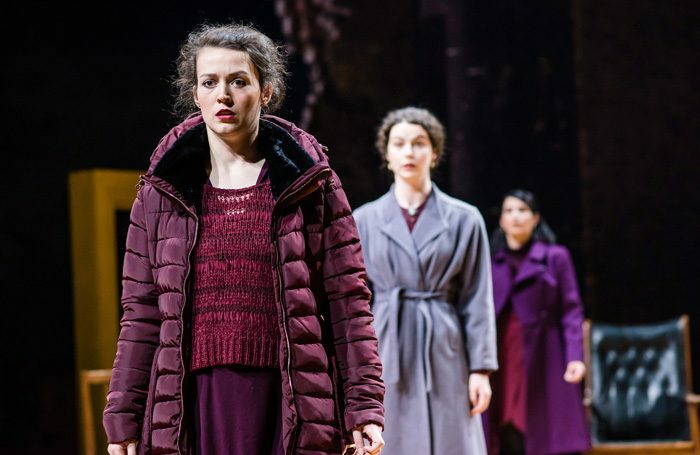 Like Tom Piper’s set, an effective arrangement of three different rooms overlaid in one space, the trio of Noras dance – sometimes quite literally – in and out of character, playing foil to one another as Nora’s confidant Christine. Smith – an Olivier winner for Roadkill in 2012 – also judges the male characters with precision and depth of feeling, which lends weight to Nora’s struggle. Tim Barrow, as her husband Thomas, simperingly coos over his “little songbird”; Michael Dylan is oddly sympathetic as vengeful, widowed blackmailer Nathan, attempting to get at Thomas through Nora; and Daniel Ward’s doomed Daniel is the only decent man in the piece, yet still a slave to his passions. Smith’s update is smart and thoughtful, balancing a sense of feminist history and activism with the tightness of a thriller and some rich personal drama, all of which reveal its themes even more keenly.